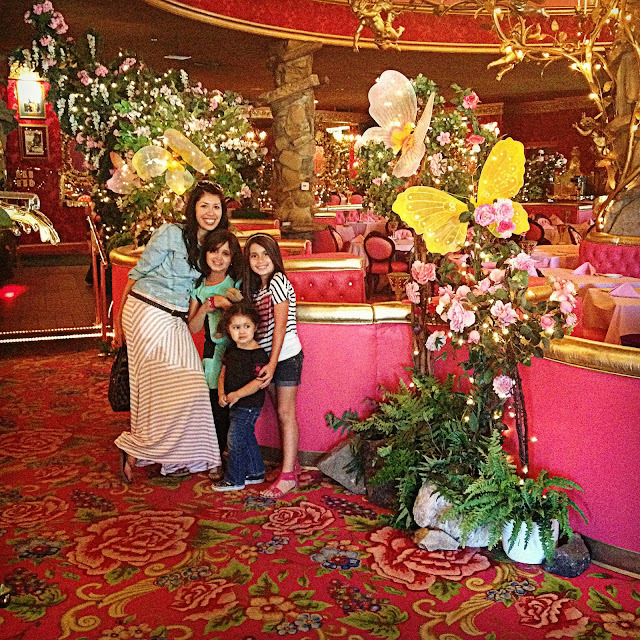 The Madonna Inn. 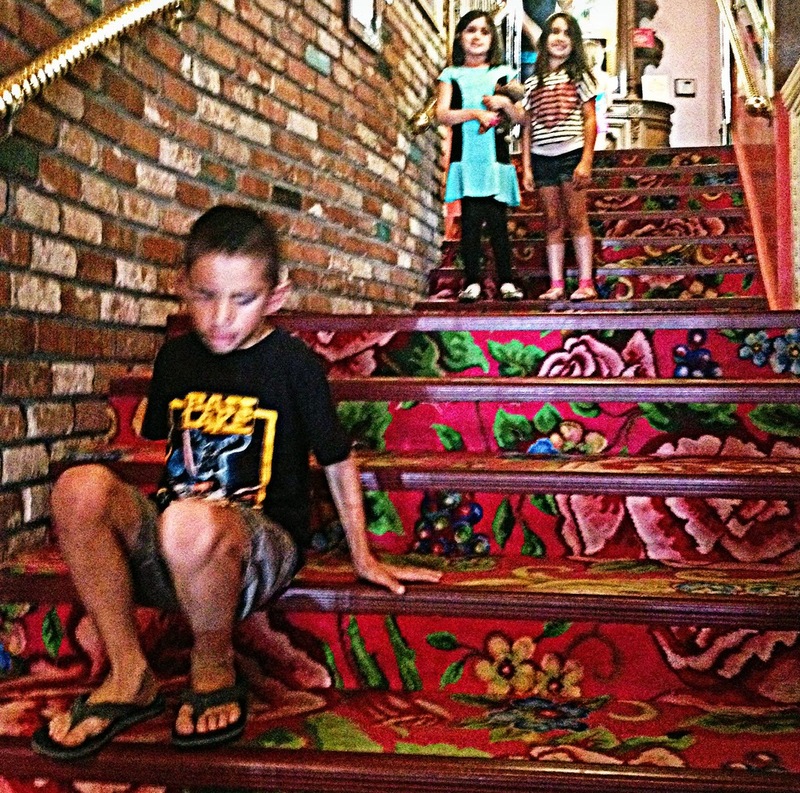 Famous for it's themed hotel rooms, this old hotel is filled with over the top decor. 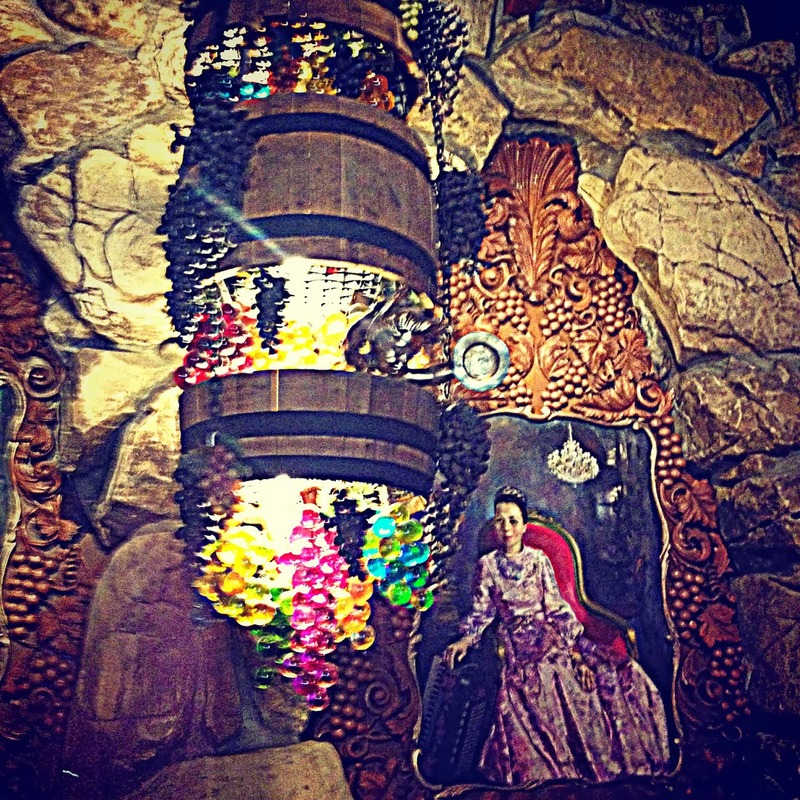 For example, a wine barrell with light up grapes chandelier. The dining room was amazing. Round booths drenched in pink and gold. Giant flowers and golden cherubs hanging from the ceiling. 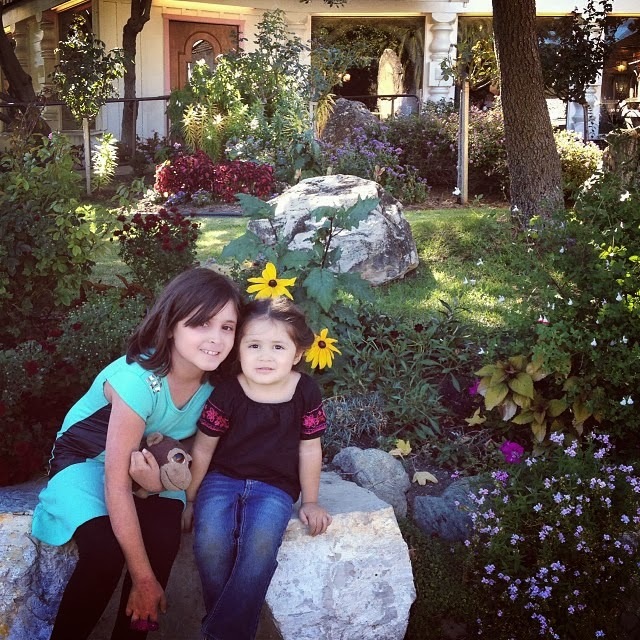 As you can imagine the girls were in heaven. I would love to have dinner here! Even the outside gardens are beautiful. 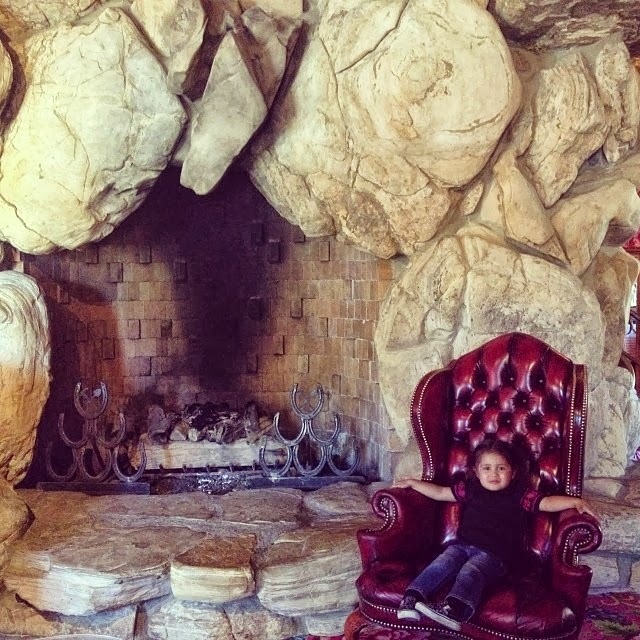 Louie sitting like a boss. 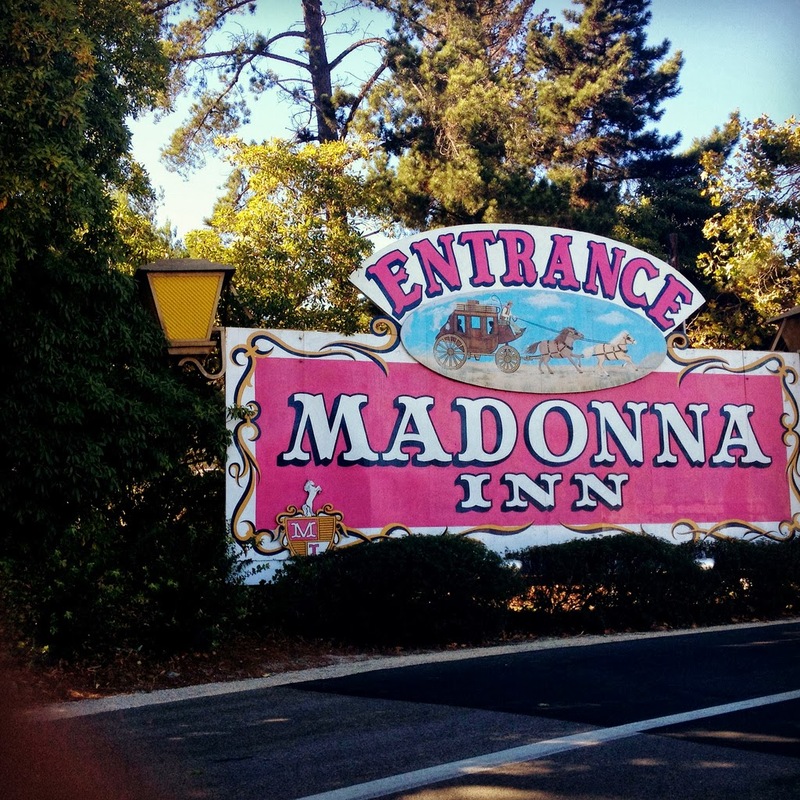 The whole reason for the Madonna Inn detour was to pick up a cake. Recently my sister picked up a cake there for my Mom's b-day and Mom loved it. 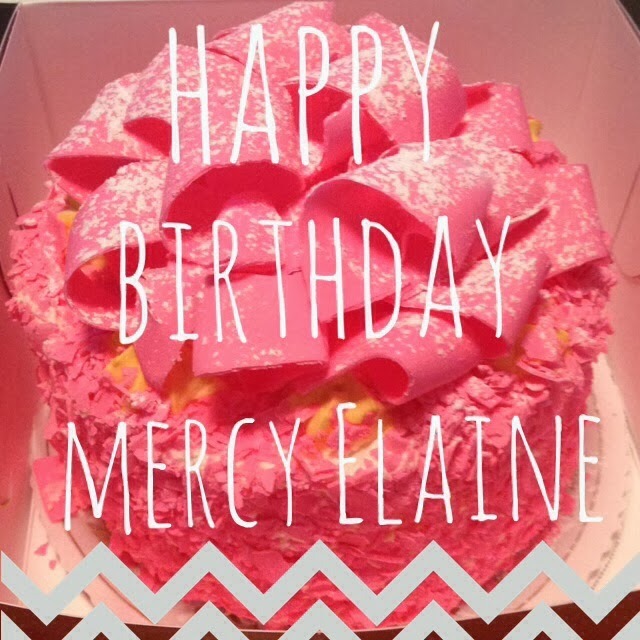 Usually you have to order a cake in 24 hours in advance, but we lucked out and picked up a pink champagne cake for Elaine. After our adventure at the Madonna Inn we all headed to Elaine and Kelly's apartment. We got the grand tour. It was so great to be able to finally see where Elaine lives. It is a small place but perfect for Elaine, Kel and there is even a small front yard for Buster and Dexter! 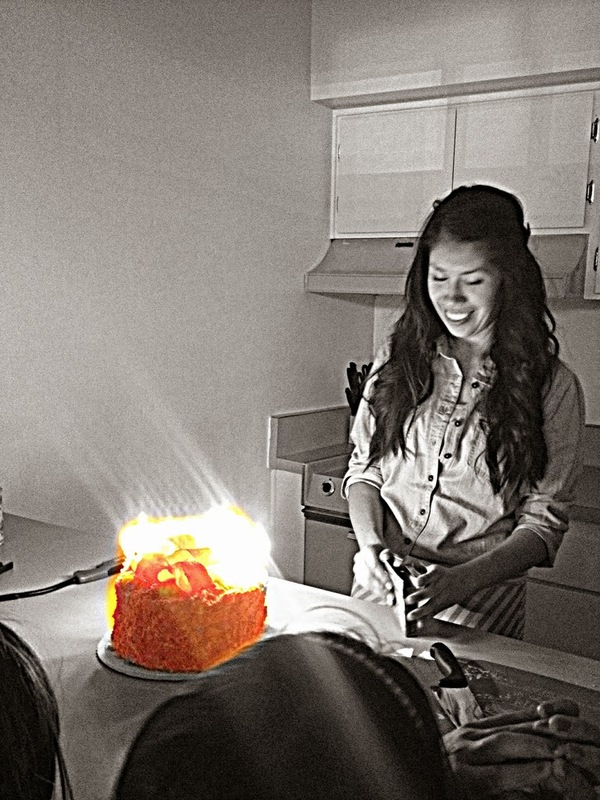 Of course we lit the candles and had some really good cake! It was fantastic day, traveling from one place to the next, making our way to Elaine's new home. 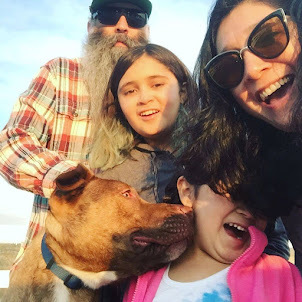 Days when we are all together really are magic.